Members and supporters of the American Friends Service Committee hold a "meeting of worship" sit-in outside the White House as a delegation discusses Vietnam policy with presidential advisor Henry Kissinger, Washington, D.C., 1969. The Philadelphia-based American Friends Service Committee, a Quaker organization formed during World War I, has had world-wide influence by acting on Penn's Quaker principles of pacifism and Brotherhood. 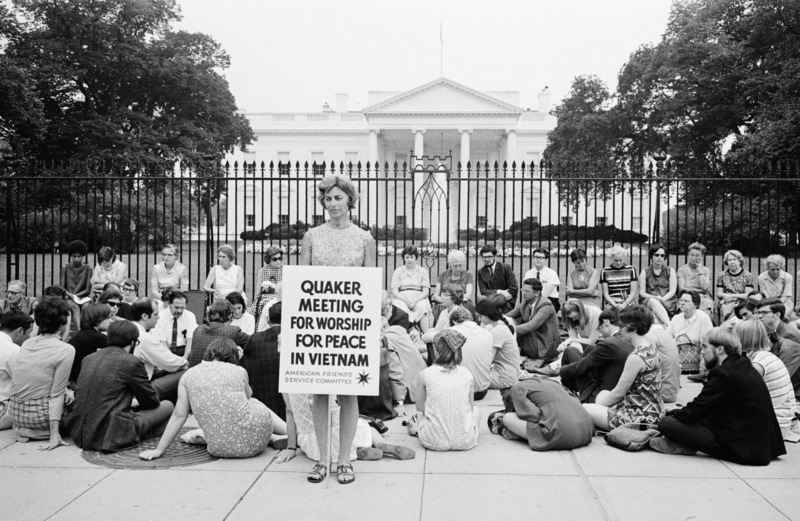 The organization shared the Nobel Peace Prize in 1947 with the British Friends Service Committee, in recognition of 300 years of Quaker relief efforts and opposition to war.